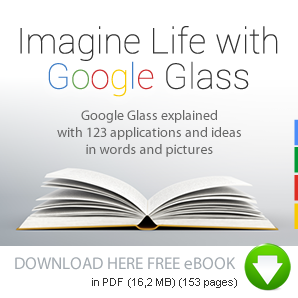 Imagine life with Google Glass: Imagine that you can operate your TV with Google Glass. Imagine that you can operate your TV with Google Glass. Just as this is already possible via tablets and smartphones, the TV can also be controlled by different viewers and one person can show a movie to another on the same TV. It does not need to be limited to just video, showing photos, texts, music, commercials and even websites is possible. Will every family still need a computer, laptop and / or tablet?